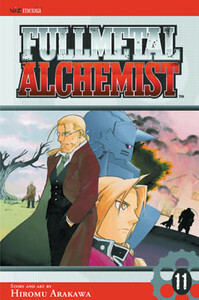 Ed returns to Resemboul and meets his father Hohenheim for the first time in many years. Although his father is happy to see him, Ed harbors intense feelings of resentment for being all but abandoned many years ago. However, anger gives way to intrigue as Ed and Al discover an important fact about the human transmutation ritual they attempted years before. What they thought was a partial resurrection of their mother was something else entirely: a revelation that could change their destiny forever.